The Magnificent Arctic Fox The arctic fox is a small white fox that lives in cold places near the North Pole like Alaska, Iceland, Canada, and Greenland. It is also called the polar fox, white fox, and snow fox. The arctic fox lives in the tundra. The tundra is the cold version of deserts where there are no trees and the ground is always frozen. 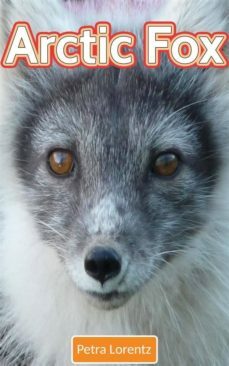 Most animals cannot survive in such cold weather but this is the normal home of the arctic fox. Its white fur helps it blend with the snow, hiding it from other predators and from the animals that they hunt. The thick white fur of the arctic fox acts like a coat. It is what keeps them warm and allows them to live in freezing temperatures. During the summer, the weather becomes hotter and the fur of the arctic fox turns white. This ability to survive in different temperatures is called adapting. Because the arctic fix is good at adapting, it can live for up to 6 years.